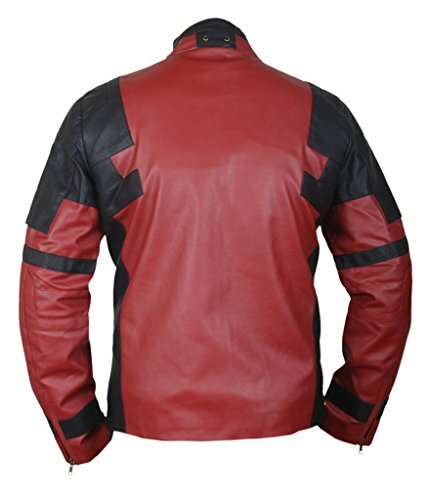 Deadpool Jacket - Moar Stuff - You don't need it but you know you want it. 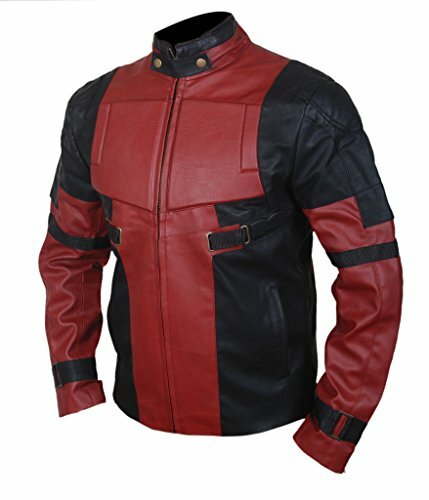 This Deadpool Jacket looks a lot like the one worn by Ryan Reynolds in the hit 2016 film, Deadpool. 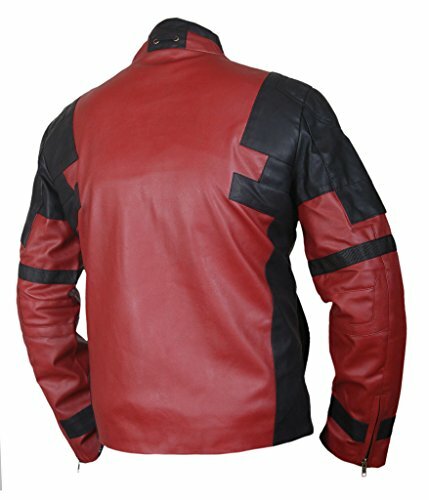 Maximum effort was put into the manufacture of this jacket. 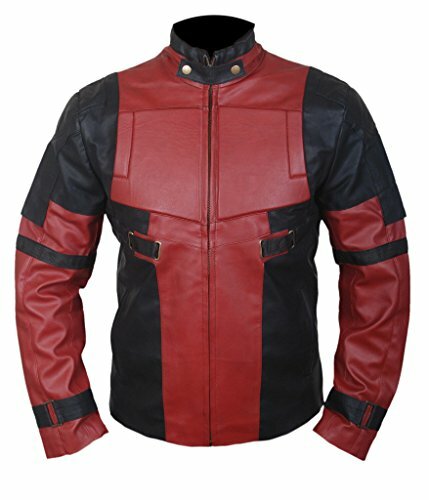 It’s made with high quality synthetic leather with double stitching for durability and features chest pads and arm belts for sleek styling. That makes it a vegan jacket. Right? 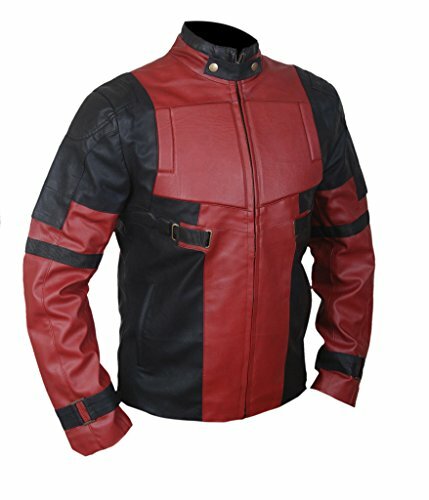 I don’t know why a vegan jacket is desirable but, hey, if that’s your thing then there you go. 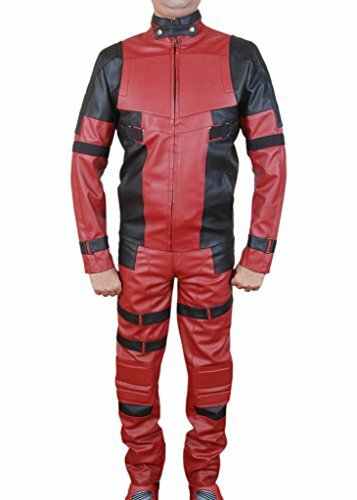 The jacket has 2 outside and 2 inside pockets and a satin + polyester lining so you can stow your extra ammunition. Why the movie version didn’t have pockets for the same reason, I’ll never know. Of course, if you’re not carrying around a small arsenal looking for Francis, you can use the pockets to keep boring things like keys and cellphones. 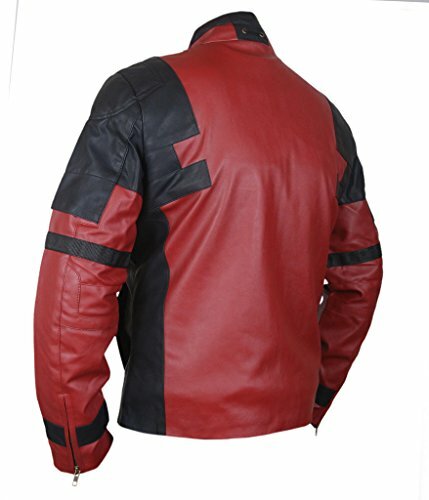 It would make a great riding jacket or just one to wear while out on the town. Don’t forget your wear the brown pants. Just in case. Sizes X-Small thru %XL (American sizes).